How might big companies move as quickly as their internet-born competitors? That’s a critical question many large enterprises ask as they try to adapt to the pace of developing lovable products in the digital era. Today’s businesses face challenges from every quarter. They are under constant pressure to do more with less, to compete with “digital invaders” (smaller and nimble companies that have enormous disruptive power), to move faster than competitors of all sizes, and to exceed the expectations of the always-on customer. But what holds back established enterprises to respond to these forces? 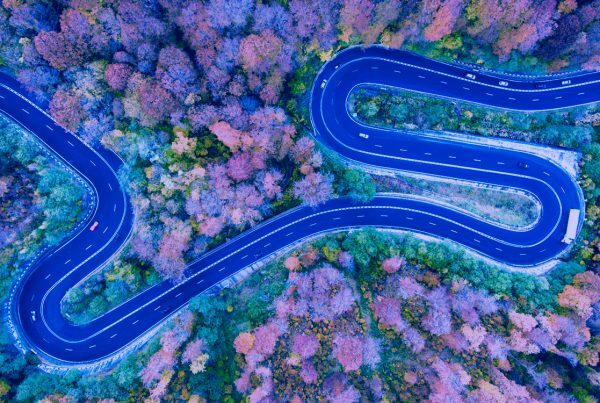 A McKinsey article, “Perpetual Evolution – the Management Approach Required for Digital Transformation,” identifies antiquated enterprise architectures as the chief impediment. Internet retailers can make crucial changes to their e-commerce websites within hours, while it takes brick-and-mortar retailers three months or more to do the same. Cloud-based enterprise software suppliers can update their products in days or weeks. By contrast, traditional enterprise software companies need months. We align with McKinsey’s take on how enterprises need to adopt a next generation, “decoupled” enterprise architecture. However, adopting a decoupled architecture is only part of the equation required to achieve transformation. Emerging as a modern company requires a shift in mindset and ways of working that focuses on customer-obsessed velocity. Here is where a methodology comes into play. Perpetual evolution compels executives to manage digital capabilities and technologies to emphasizes speed. FUEL’s primary focus is developing products with the velocity needed to get products to market faster than anyone else can. The perpetual evolution model can generate faster product development iterations and increase operational efficiencies. FUEL aligns product delivery with the customer in mind by utilizing methods such as design thinking, which require a team to develop and test product prototypes with customers for fit. Perpetual evolution also helps mitigates or removes interdependences in the organization’s digital ecosystem. Launching products that customers love is a major part of the story, but not the only part. Lovable products and services must also be profitable and valuable for the business. The ecosystem must align with an enterprise’s success metrics and broader vision. The model of perpetual evolution is not without precedent. At Moonshot, we’ve followed closely the “highly aligned, loosely coupled” approach to rapid product development championed by Netflix. As we’ve discussed on our blog, being highly aligned means that strategy and goals are clear, specific, and broadly understood. Being loosely coupled means, among other things, that the business is bound by trust between groups on tactics without needing for a bureaucracy to preview/approve everything. Many large organizations excel at strong alignment but fall down when it comes to being loosely coupled. The growth of the agile model for doing business is beginning to make enterprises become more decentralized. The FUEL methodology makes it possible to adopt and scale models such as highly aligned/loosely coupled and perpetual evolution.